Browse our media archive to read about news and articles featuring Turbo-Mech. For investors seeking a silver lining in oil & gas stocks amid the prevailing downturn, we believe Turbo-Mech (Fundamental: 1.95/3, Valuation: 2.4/3) is attractive for its higher-than-market average yields and modest valuations. 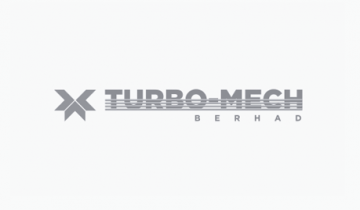 Turbo-Mech Bhd hopes to maintain its performance this year despite the global economic uncertainty, and set to expand its existing market in Singapore, said executive director Gan Kok Ten. He said as most of the company's clients are based there and contributed significantly to group revenue, it intended to increase the capacity of its Singapore workshop by 20%. Read the Board Charter to understand the roles and responsibilities of the Board of Directors. © 2019 Turbo-Mech Berhad (863263-D). All rights reserved.